Stay “in” the Loop : Top College Degrees – resources and news on degrees, financial aid, and more! Articles about LinkedIn often generate the most comments. Here are some highlights of LinkedIn advice from previous articles, along with additional tips and tricks, many of which remain unspoken by the people at LinkedIn. With this checklist in hand, you can make your LinkedIn profile your best personal branding tool. These little-known, often-overlooked and seemingly counterintuitive tips deliver big results with minimal effort. 2. Be opportunistic. Join groups that will let you connect with people who are in your target audience but are not contacts. Being part of the group gives you permission to reach out to them and invite them to join your network. You don’t need to upgrade to Premium to do so. 3. Be redundant. Know the top five strengths for which you want to be recognized and use them in your profile – repeatedly. If your top skill is project management, describe your project management proficiency in your summary as well as in multiple experience descriptions. This will help the right audience find you. 4. Be ungrateful. Ask your contacts to endorse you for only your top skills. Having the highest number of endorsements for your signature strengths will influence those who are looking at your profile. Have the courage to delete or reject the endorsements that aren’t central to how you want to be known. 5. Be stingy. Only give recommendations and endorsements to those whom you genuinely admire. When you recommend other people, their reputation is seen an extension of your values. 6. Be lazy. Reuse and repurpose the content you already have available. This amplifies your message and delivers brand consistency. Communicating different forms of the same content in distinctive ways helps reinforce your messages within your brand community. Convert your Blog posts into activity updates and embed whitepapers and articles in your profile. 7. Be greedy. Don’t follow the LinkedIn formula of creating one experience entry for each job title you have held. Take the space you need to communicate your accomplishments by creating multiple entries for every role you have performed within each job title. It’s OK to have overlapping dates. See how I did it in my profile. 8. Be a groupie. Don’t limit the number of groups you join. Join groups related to your area of expertise, industry, alumni, passions, social causes, and other aspects of your identity. This gives you access to more people who matter to your brand. Plus, when others look at your profile, they can learn about your brand by looking at your groups. Always select groups that are highly active and have a lot of members. 9. Be promiscuous. Ignore LinkedIn’s advice to only accept connection requests from people you know. That helps sell Premium, but it doesn’t help you get found. LinkedIn’s search algorithm favors those who are in your network. That means when people are looking for what you have to offer, the results of their searches are displayed with 1st level connections first, then 2nd level connections and so on. 12. Be verbose. Know the character limit for each section and use every character. This gives you the opportunity to repeat keywords that are critical to being found. 13. Be opinionated. Integrate your point of view (POV) into your summary and experience where appropriate. Join groups where you can share your POV as it relates to your area of expertise. It’s a great way to distinguish yourself from competitors. 14. Be disorganized. Reorder the content in your profile (yes, LinkedIn made this possible). This enables you to lead with what’s important and choose which strengths to focus on. Bonus: it will make your profile stand out from the crowd of others who do what you do. 16. Be square. Direct people to your LinkedIn profile with a QR code on your business card. The next time you’re at a networking function, the people you meet can scan your QR code and instantly read your profile and connect with you. 17. Be frugal. If you want to reach out to someone and you can’t reach them any other way, sign up for Premium by the month. Then, do all the outreach you need to do to connect with those super-exclusive contacts. Mission accomplished? Cancel your Premium subscription. 18. Be a thief. 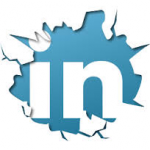 Repurpose the great content in your LinkedIn profile for other social media sites. You’ll increase your digital footprint while ensuring consistency. VisualizeMe.com, Vizify.com, Re.vu, and ResumUp.com are a few services to check out. 19. Be personal. Your profile is not a resume or CV. Write as if you are having a conversation with someone. Inject your personality. Let people know your values and passions. In your summary, discuss what you do outside of work. You want people to want to know you. 20. Be in their face. Make sure your headshot is high quality, with good lighting and ultra-sharp focus. LinkedIn is not the place to run a casual snapshot. Also, make sure that you’re either facing forward or turned toward your left shoulder, in the direction of your content. If you’re looking to your right, gazing off the screen, this sends a subtle message that you don’t believe the content of your own page. 21. Be a bean counter. Get at least 500 connections. In addition to widening your target audience, the magic 500+ in your profile has a psychological impact on those who view your profile. 22. Be a procrastinator. Don’t reach out to contacts until you are thrilled with your profile. When you reach out the others, they will likely view your profile before deciding if they want to connect with you. Follow these tips, and enjoy the payoff!